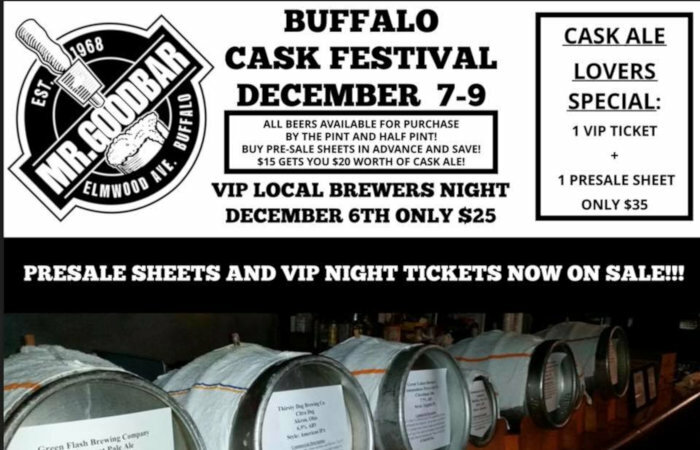 Buffalo Cask Festival at Mr. Goodbar returns for its 11th year, December 7-9. 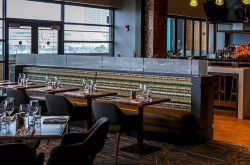 The annual event officially gets underway with the VIP Local Brewers Night on Dec. 6 ($25, 7pm), an intimate gathering featuring a number of specialty casks from all-local breweries, such as Flying Bison, Community Beer Works, Thin Man, Old First Ward Brewing, Resurgence and 12 Gates. 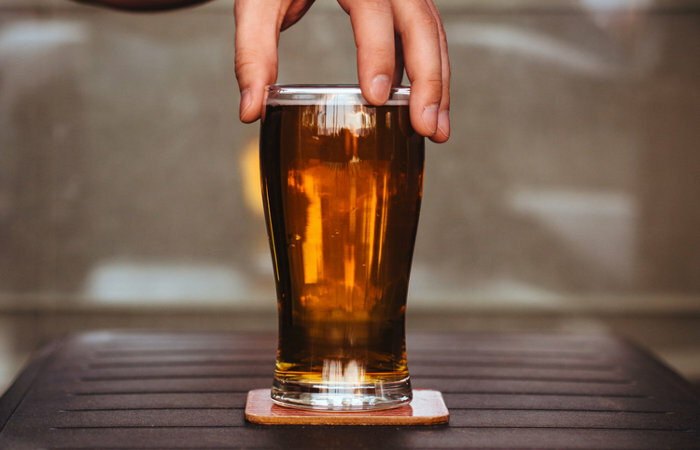 Tickets are now on sale – purchase pre-sale ticket sheets worth $20 of cask beer good during the duration of Cask Fest for $15 or purchase a ticket to the VIP Local Brewers Night and a presale ticket sheet for only $35. 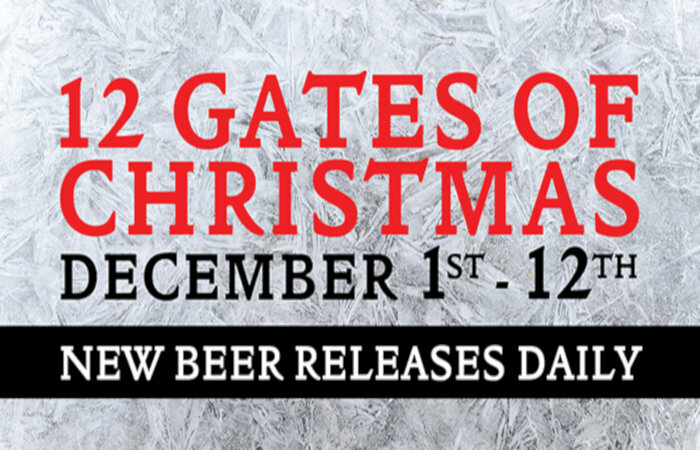 12 Gates Brewing are bringing back the 12 Gates of Christmas, a 12-day stretch where they will release a new beer daily. Starting December 1, 12 Gates will release Hot Chocolate Amber, then Wassail Blonde (Dec. 2), Brown Sugar, Cinnamon & Habanero Porter (Dec. 3), Christmas Six Shooter IPA (Dec. 4), Pumpkin Pie Blonde (Dec. 5), Fruitcake Amber (Dec. 6), Italian Grape Ale (Dec. 7), Eggnog Stout (on Nitro) (Dec. 8), Weihnachten Berliner Weisse (Dec. 9), Nutcracker Sweet Brown Ale (Dec. 10), Chocolate and Orange Peel Porter (Dec. 11) and Grave Concerns (Dec. 12). Try them all for a free t-shirt. 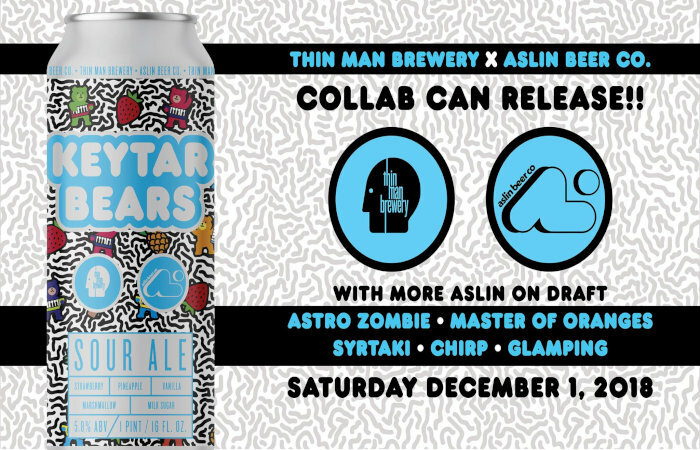 Thin Man Brewery and Aslin Beer Company of Herndon, Virginia have collaborated on the funkily titled Keytar Bears, a sour brewed with strawberries, pineapple, marshmallow, vanilla and milk sugar, which creates ‘a cosmic, tart, rainbow sherbet surprise.’ Thin Man will also be tapping a number of Aslin beers for the release – Astro Zombie New England IPA, Master of Oranges DDH IPA, Syrtaki Imperial Stout, Chirp Creamsicle IPA and Glamping Imperial Stout. Cans and draft will be released December 1 (11am). Bottles of Thin Man’s DBA Ookla The Mok Imperial Porter and BBA Forever Cordial Imperial Stout also still available. The Fourth Annual Santa’s of Swig Fundraiser, presented by the Sultans of Swig Homebrew Club and Santa’s of Swig, which raises money for the Matt Urban Hope Center, takes place December 1 (1pm) at Buffalo Iron Works. 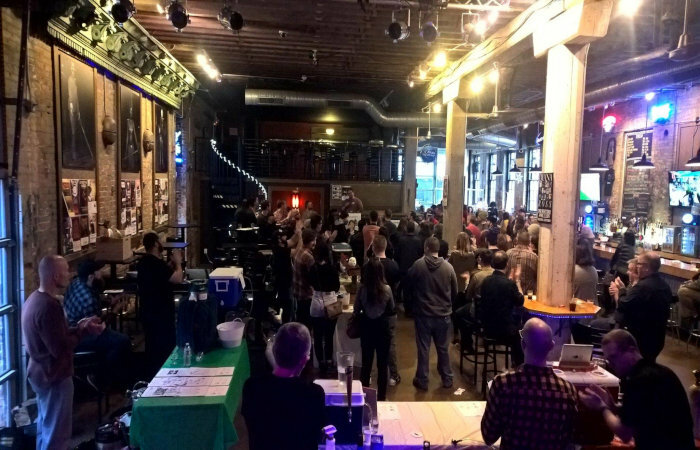 A $20 donation buys samples of over 20 beers made by local homebrewers. 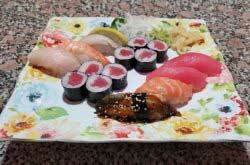 Vote for your favorite with the winner receiving prizes. Local brewery baskets will be raffled off (donations of unwrapped toys gets you $10 in tickets). Tickets at the door and can be purchased online. The event has raised over $7,000 for Matt Urban, while collecting over 500 new unwrapped toys.